Freedom activist, comedian, and former People's Voice hostess Elissa Hawke sits down with IFERS President Eric Dubay to discuss dinosaurs, flat Earth, conspiracies, controlled opposition, and to address and clear-up several slanderous lies, accusations and rumors regarding Eric's background, family, and personal life. Big thanks to Eddie Bravo, Kron Gracie, and the rest of the guys for this ground-breaking podcast where we expose the dinosaur hoax, the nuclear hoax, evolution, the big bang, controlled opposition, NASA, and the flat Earth conspiracy. The podcast starts at 1:25 and contains a few technical audio issues, but overall came out very well and is essential viewing for flat-Earthers and ballers alike! Please help like, comment, share, subscribe, download and re-upload to help spread the word. 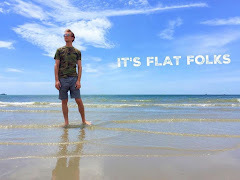 Eric Dubay, Head of the International Flat Earth Research Society is interviewed by Sean Condon of Truth Seekers Farm about several subjects including the Holohoax, International Jewry, Adolf Hitler, Pizzagate, Psychopathy, and Flat Earth. 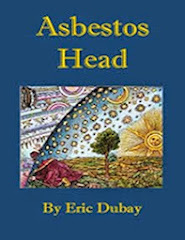 Eric Dubay says the greatest lie and most successful cover-up in history, NASA and Freemasonry's biggest secret, is that we live on a plane, not a planet; that Earth is the flat, stationary center of the universe. Eric is an American living in Thailand where he teaches Yoga and Wing Chun part-time while exposing the New World Order full-time. He is the author of five books and is the president of the International Flat Earth Research Society. From Mel Fabregas: Let me begin this interview by stating that I have no attachment to the flat earth. I have no attachment to the oblate spheroid, and even to the sphere. If our home is any of these, so be it. I wouldn't be surprised of any. What I continue to be surprised and suspicious of are the people who continue attacking those who simply ask questions. I recently attended a conference that deals with the most open minded topics you could possibly imagine. However, when it comes to the flat earth topic, it was a no no. Look, I can't say I blame people for thinking this is the most absurd topic under the sun, or the firmament, rather, but you, open minded people who discuss aliens, UFOs, reptilians who rule the world, Bigfoot, and the rest of it, why do you continue telling people to stop looking into the flat earth? Those of you who study the pyramids and ancient civilizations, you venerate these ancient ones, and rightfully so, and some of these very ancient ones believed the earth was flat. Why do you then continue looking into their achievements if the notion of a flat earth is so absurd? Shouldn't that discredit them too? 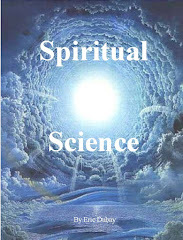 And those of you who continue writing to me saying the ancient ones knew they lived on a sphere, how did they know? Perhaps they had advanced technology that allowed seeing the skies above. Just because you see sphere above you doesn't prove you are standing on one. You can still play pool on a flat table and basketball on a flat court. Perhaps the psyop is questioning those who question the true shape of our plane(t). Thanks to Evita Ochel of EBTV for the wonderful interview covering topics ranging from spirituality and science, to health and veganism, to conspiracies and the flat Earth. Please like, share, comment and subscribe to help me spread the word on these most important subjects! Tonight Eric Dubay returns to the show. 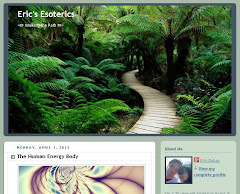 Eric is a leading and prominent voice behind the revival of the Flat Earth theory. 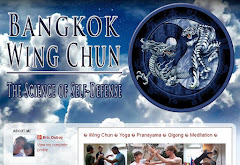 He currently lives in Thailand where he teaches Yoga and Wing Chun which is the traditional Chinese martial art of self defense. 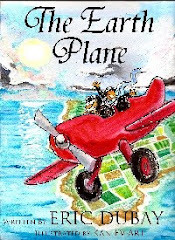 Eric has also written a number of books one of which is The Flat Earth Conspiracy where Eric explains how the world has been systematically brainwashed and indoctrinated for centuries into believing the greatest lie of all time – that the Earth is a spinning globe. 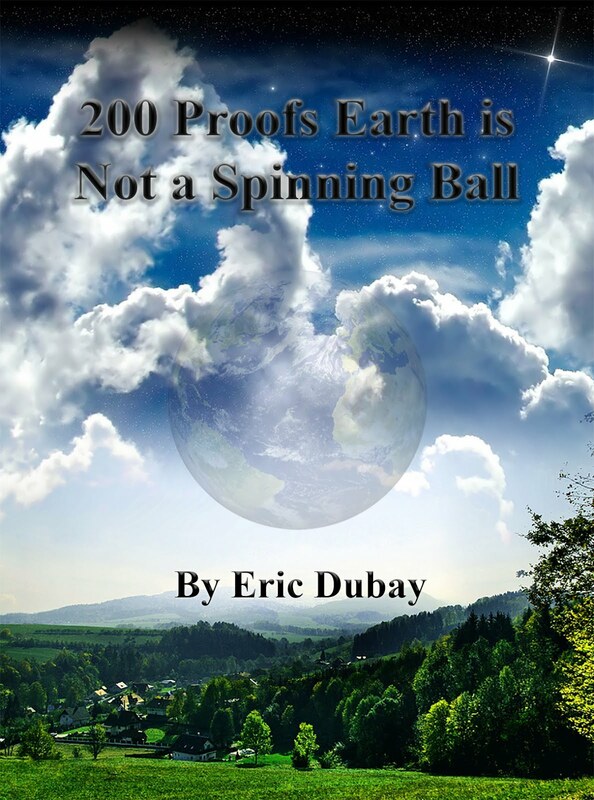 He has also recently released his free eBook “200 Proofs Earth is Not a Spinning Ball”. The discussion with Eric was wide ranging as we talk about the traction the Flat Earth theory is gaining throughout the world along with Eric’s thoughts on Zionism, controlled opposition, psychopathic behavior and forbidden topics like the Holocaust. Join me and Mel Fabregas of Veritas Radio for a discussion about the greatest deception in history, the mother of all conspiracies, NASA and Freemasonry's biggest secret, that Earth is flat, motionless, and the center of the universe. Stay tuned for part 2 coming out next week, or better yet show Mel your support and subscribe to Veritas radio to listen today. In this Firestarter radio re-upload we cover the Flat Earth, NASA, Freemasonry, Judaism, Veganism, Kosher Slaughter, Circumcision, Hitler, the Holocaust Hoax, Controlled Opposition, who really runs the world and why they have convinced you you are living on a spinning ball! In the following re-upload, Patricia Aiken from Sacred Cow BBQ and I discuss the Flat Earth, WWII, Hitler, Gaddafi, Rothschild / Jewish power, Controlled Opposition, and Voluntaryism. In this roundtable discussion with John Le Bon and the Ball Earth Skeptics we cover topics ranging from shills in the flat Earth movement to astrotheology and kundalini awakening. Coast 2 Coast AM regular stand-in and host of Zoomer radio's Conspiracy Show, Richard Syrett, interviews Eric Dubay, president of the International Flat Earth Research Society about the greatest lie and most successful cover-up in history, NASA and Freemasonry's biggest secret, that we live on a plane, not a planet, that Earth is the flat, stationary center of the universe. In this highly-informative and humorous podcast President of the International Flat Earth Research Society and webmaster of AtlanteanConspiracy.com, Eric Dubay, talks with fellow conspiracy author and webmaster of WaykiWayki.com, Mark Knight. Topics covered include flat Earth science vs. ball Earth pseudo-science, the various proofs/evidence for the geocentric flat Earth and debunking the supposed proofs/evidence for the heliocentric ball-Earth, the North Pole and South Pole (or lack thereof) and the Antarctic ice-rim, the Sun, Moon, eclipses, seasons, Polaris, stars, planets, NASA, the fake Moon and Mars landings, the controlled opposition Flat Earth Society vs. the legitimate International Flat Earth Research Society, and disinformation agents like Mark Sargent (codename: Sargent Non-Sense). The following interview features myself, Eric Dubay, a genuine, legitimate flat Earth researcher talking with DJ Buttamilk (Dan Lefkowitz) of Brattleboro, Vermont community radio. In the interest of preserving for posterity the wealth of flat Earth knowledge and research done during the late 19th and early 20th century, I am producing a series of audiobook and PDF downloads to make them more easily and widely available. This first selection is John Abizaid's 1912 book "The Enlightenment of the World." You can download the free PDF here. Gerrard Hickson's 1922 book "Kings Dethroned." William Carpenter's 1885 book "100 Proofs Earth is Not a Globe." Gabrielle Henriet's 1958 book "Heaven and Earth." Albert Smith's 1918 book "The Sea-Earth Globe and Its Monstrous Hypothetical Motions." Karl Smith's 1904 book "Is Earth a Globe Whirling in Space?" Frederick Cook's 1908 book "The Terrestrial Plane." William Edgell's 1927 book, "Does the Earth Rotate? No!" A.E. Skellam's 1893 booklet, "The Shape of the World." Arthur White's 1909 booklet, "The Shape of the Earth." The London Zetetic Society's 1887 booklet "Chart and Compass, Sextant and Sun-Dial, Latitude and Longitude, Plumbline and Pendulum, Globe or Plane?" John E. Quinlan's 1914 booklet "The Earth a Plane."